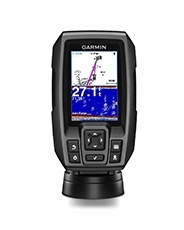 If you want to buy your first fish finder, you might get lost in all the technical talk. Looking at all the different functions and features can be daunting to a first-time buyer. Between various types of transducers, flashers, echoes, sonars, and other things, it's hard to make sense of it all. That's why we went ahead and put together this fish finder guide to simplify the process for everyone. We're going to demystify some terms and bring you up to speed. That way you can be confident that you're making the right decision when you finally pull the trigger and get yourself a fish finder. These are the main things to look for when choosing a fish finder. The items on this list will help you narrow down your search and pick a fish finder that best serves your needs. Transducers are essential parts to every fish finder. They send out and receive sonar waves. These waves, once emitted into the water, bounce off of different objects. After that, they get picked up by the transducer. When the data comes back, it goes into the central unit. That is where these signals get processed into a picture on the display which you can see and understand. Transducers come with different types of mounts. The easiest one to install is the transom mount. But, if you have a bigger boat or need something more serious, you can opt for another type, like the thru-hull mount. Depending on which type of boat you'll be using, you need to pick the right transducer material. For enthusiast and casual fishermen, a plastic transom mount will do just fine. They are compatible with almost all kinds of boats. If you're using a transducer with a thru-hull or an in-hull mount, fiberglass or metal hulls need plastic housings. Aluminum or steel hulls need stainless steel housings. Bronze housings are for boats with fiberglass of wood hulls. When it comes to recreational users, most fish finders come equipped with trolling motor transducers or transducers with transom mounts. These work with any almost any kind of boat, you just need to make sure you follow installation guidelines. If you like the idea of a thru-hull transducer, the choice is between plastic and bronze. When choosing a transducer, an important aspect to consider is the cone angle. In other words, the cone angle tells you the width of the beam emitted into the water from your boat. A wider cone means that a larger area will get covered. As the beam goes down, the cone angle expands, but at the expense of sensitivity in deeper water. Transducers come with cones that range from 9 degrees to more than 60 degrees. Most devices you will come across tend to be between 16 and 20 degrees. If you're just starting and want to fish in different water depths, a 20-degree cone is an excellent choice. An interesting feature when it comes to transducers is that they can emit more than one cone from one point. There's one beam with a conventional transducer, but with more advanced units you can get multiple. Some have a dual beam, some a triple, some even a side beam and so on. With each new beam, you can cover more area. More beams are ideal for larger bodies of water, like lakes. While some units come with a lot of options, others have single beams. The number of beams dictates the price of a particular device. Dual beams are much better in comparison with single beams if you're going to fish in shallow water. That's because they cover more of the area. Color displays have become a standard in electronics, not just fish finders. They can offer up to millions of colors and lots of details while black and white screens have just 265 shades of gray. With a color screen, the information put out by your transducer will be easier to read and understand. With more colors, you can better see what's going on. Besides that, black and white displays are harder to read in direct sunlight. During dark or cloudy weather black and white screens fall short once again with limited readability. Also, black and white screens have their place, and various models are still in production. If you can't fit a color screen into your budget, then you might as well start with a simpler display. Once you get the hang of a simpler model, you can upgrade. 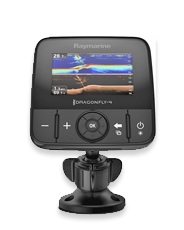 When looking at displays, you should also consider what resolution and how many pixels your fish finder's screen will have. Simply put, a pixel is a single dot on a screen. The more pixels you have, the more detail the display can put out. With a 320 x 320 resolution, 320 dots are going left to right, and 320 dots going top to bottom in each column. You should aim for at least 240 x 160 pixels. But even with this resolution, you might feel like you are playing Tetris instead of finding fish. If you can spare the money, it's worth paying more for a higher resolution display. It will give you more detail and give you crisp images. In combination with screen size, the resolution will ultimately decide how good of a picture you'll get from your fish finder. Affordable devices tend to have smaller displays. They are a good option if you need a backup or a second unit. 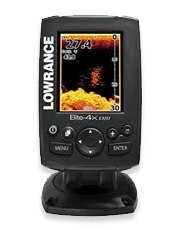 When on the prowl for your main fish finder, you should buy the largest and best quality display you can afford. That way all the data and numbers will be shown in higher detail on a bigger screen. Some units have lots of readings to put up on the screen so that a smaller screen might get cluttered up. Most transducers that work with dual frequencies have both 60 and 20-degree cones available. One of the Biggest factors for transducers are frequencies. Transducers usually come with 200, 192, 83 or 50 kHz frequencies. Cone angles relate directly to them. For shallow water, your best choice is high frequencies, like 192 and 200 kHz. 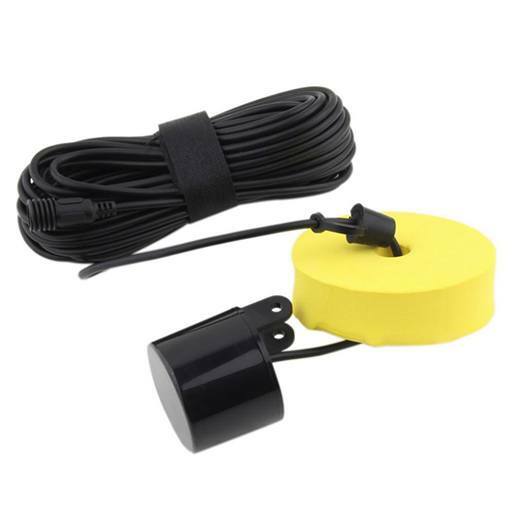 For professional and commercial use in deep water, 50 kHz transducers work best. The important thing to remember is that a high frequency gives more detail on your display. The higher the frequency, the more sonar waves your transducer sends out and receives. Some fish finders can achieve up to 400 kHz or more while using different frequencies. These show images with incredible detail, and allow switching between wider and narrower views. 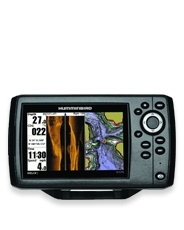 Before you pull the trigger on any unit, you should consider the power of the fish finder you are looking at. If you want a unit has faster and deeper readings, you want a high wattage unit. Devices with a lower wattage will be slower and much better in shallow water. 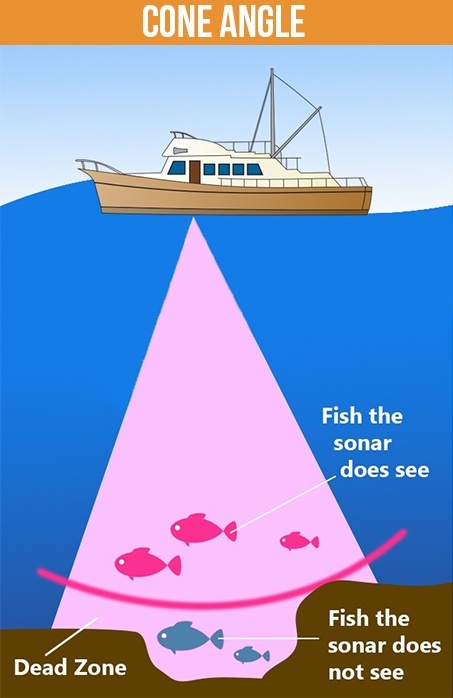 This happens because a fish finder converts sonar waves from its transducer. When there's less power, the waves are slower, and the reading isn't as reliable. When there's more power, the waves are much faster and the read out more accurate. To conclude, if you intend to fish in shallow water, you won't need as much power. 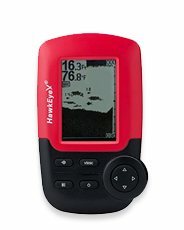 If you want to fish in a deep water lake or saltwater, you should get a fish finder with as much power as you can afford. For every 100 watts of power at 50 kHz, your fish finder will show depth readings of up to 400 feet. 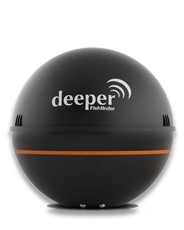 For every 100 watts of power at 200 kHz, your fish finder will show depth reading of up to 100 feet. Most finders in the mid-range operate with dual frequencies. That way you can see readings from each frequency with a split-screen mode. Finally, one more important consideration. If you're going to mount your unit on a smaller, open vessel, water resistance is going to be crucial. You should always check the JIS or IPX ratings. These are more or less the same, but each determines a particular unit's level of resistance to water. A rating of four means a given device is safe from splashing water so that it won't fare well on ﻿﻿a kayak, for instance. A JIS/IPX rating of five or six means a fish finder can stand low to high-pressure jets of water. With a rating of seven, you can submerge your unit up to 10 feet for 30 minutes. Finally, a rating of 8 can be underwater for extended periods of time. 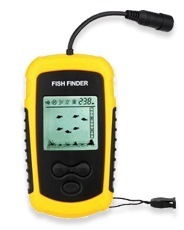 The rating makes all the difference and determines how and where you will use a fish finder.